Hotel developer the Relevant Group is not waiting (waiting, waiting, waiting) for the sun to start developing the Morrison Hotel site into a $110 million hotel project. The developer behind Hollywood’s Dream Hotel and the under-construction Thompson Hotel told the Los Angeles Downtown News Tuesday that it plans to redevelop the 103-year-old building at 1246 S. Hope Street — where The Doors shot the cover of their 1970 record Morrison Hotel — into a 12-story, 245-key luxury hotel. Relevant Group’s Grant King told the News the hotel would be an “ode” to the band’s frontman, Jim Morrison. Amenities at the South Park hotel would include an 8,230-square-foot roof deck with a pool, bar and restaurant, accompanied by 24,000 square feet of public space at street level. Renderings show the new building would be set behind the existing hotel structure on an adjacent parking lot. 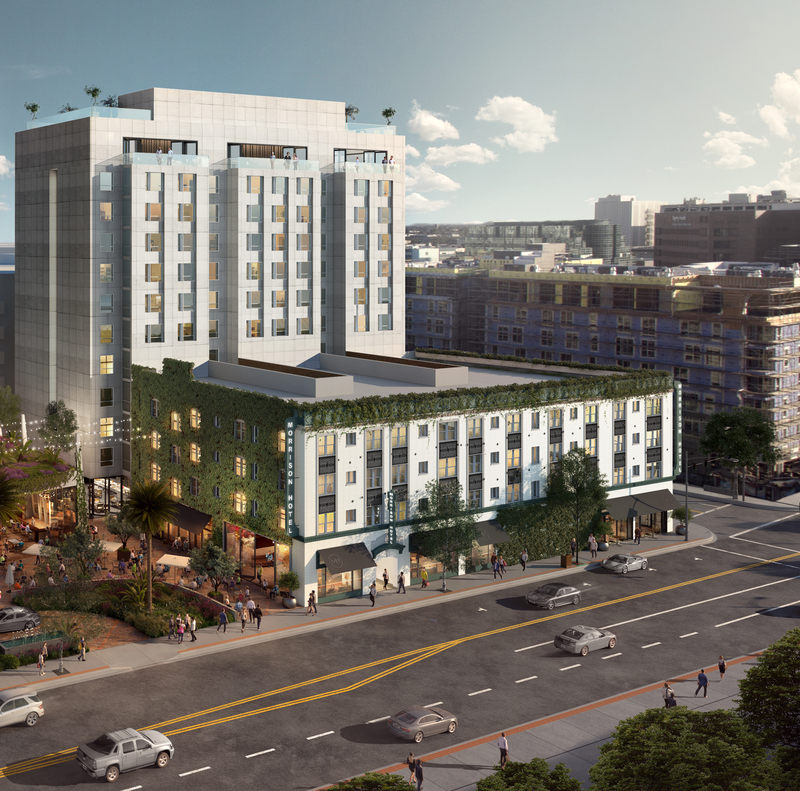 The new structure would charge more than $300 a night — a far cry from the original 1914 hotel, which served more as a low-income housing complex. Correction: An earlier version of this story said the original hotel would be demolished. It will be redeveloped, according to relevant group.